Seang Kosal was “sleeping” on the job, Interior Minister Sar Kheng thundered in April last year after a crime wave involving robberies, stabbings and shootings swept through Sihanoukville. A little over nine months after his appointment as police chief of the coastal province, Kosal was ousted, “transferred to the ministry”, and appointed as deputy director of the tourism police department. His fate is far from unique. Government insiders and observers alike say that the Cambodian People’s Party, which built and maintains an iron grip on the state apparatus, has its own system for dealing with mistakes, be they real, perceived or political. Public officials are rarely formally disciplined or fired, sometimes despite serious allegations of misconduct, incompetence or corruption. Those who displease their superiors publicly, or who fall out of favour privately, instead find themselves transferred to bureaucratic backwaters where, out of the limelight, they stay loyal and wait for redemption. “The party always allows people to make mistakes, but the leadership, they take the opportunity to see how you respond,” said one long-time observer. Efforts by the Post to track down Kosal in recent weeks and establish the responsibilities of his new job, or whether he still held the job, proved difficult. His boss, head of the tourism police Som Siyan, said the former police chief was still employed as a deputy and “responsible for several provinces”. Reached by phone yesterday, Kosal, however, said he was “retired” and hung up. Two expressions are used to describe an official on the outs, a Ministry of Defence official recently told the Post. A person relegated to the blacklist is said to be “kicking the wind”, or “kicking the air” – both which mean unemployed – or he is said to be “reading the newspaper”. Ministries have long been haunted by “ghost workers” – bureaucrats on the books but not at their desks. Within his department, the source estimated that just 20 percent of employees could be considered “active workers”. He said that to rise in the Ministry of Defence, loyalty to the commander must be absolute. Visible shows of support and, in particular, raising funds for the boss to contribute to the party are the best way to secure a promotion. Those who don’t show loyalty or who upset their superior are “blacklisted” – excluded from tasks and unable to rise. Professional stagnation is not necessarily a bad thing, though, and can be particularly suitable for those with businesses or jobs on the side, he saidBut for those who have a genuine desire to work honestly, any spirit of public service is quickly crushed. Behind closed doors, said a consultant who works with the government and who has extensive knowledge of the party, three factors regulate an official’s conduct: their ability to do their job, contributions to the party and the influence of their patron. The latter he called “the most important”. A Justice Ministry official told the Post simply being suspected of making a mistake – perhaps of supporting the opposition party – might see you ostracised, though not necessarily transferred. “Sometimes they transfer you from one position to another, but sometimes he or she will be isolated from their area of responsibility,” said the anonymous official. Sebastian Strangio, author of Hun Sen’s Cambodia, says exiling officials to “patronage Siberia” is a way for the CPP to balance its obligations as a state and its stability as a party. It provides “effective discipline” but keeps officials “in the fold”, leaving the underlying patronage system intact. 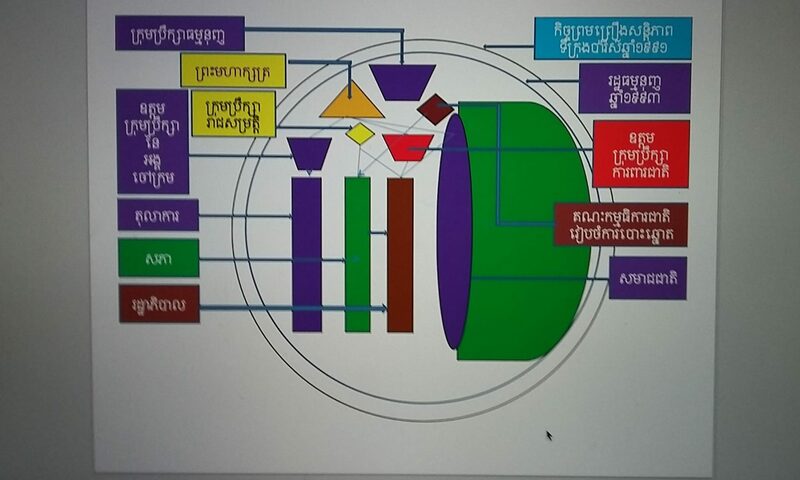 “The entire party-state apparatus is made up of a complex mesh of personal dependencies, which gives Cambodian politics something of the quality of a game of Snakes and Ladders,” Strangio said. Such was the lesson learned by Ty Sokhun when he was ousted as Forestry Administration director-general in 2010 amid criticism from Hun Sen for failing to stop illegal logging. “Consider this a life lesson to try to work harder,” the premier at the time told the official, who has since been promoted to a secretary of state and yesterday hung up on a reporter. Unsurprisingly, no mention was made of the 2007 Global Witness report that implicated the FA and members of Hun Sen’s family in a timber smuggling racket and accused Sokhun and then-minister for Agriculture Chan Sarun of selling more than 500 jobs within the body. Sokhun’s fall, recalled veteran Cambodia-based environmental activist Marcus Hardtke, also bore a striking resemblance to Sarun’s own ousting from chief of the FA more than decade before, after which he climbed back up to become minister. “Nothing really changes,” said Hardtke, calling it a “game of rise and fall”. At he opening of a new City Hall building in 2002, a band played a 40-minute song celebrating Chea Sophara. After it finished, assembled dignitaries filed past the then-governor of Phnom Penh offering huge floral bouquets. Sophara was riding high as the popular face of the capital, hailed by many for his dynamism and “vision”. In some circles, this praise extended to speculation: could the young bureaucrat be considered an alternative prime minister? His fall came the following year, by way of a diplomatic assignment to Myanmar. The job wasn’t quite in “Siberia”, but the message was clear enough. In a speech, Hun Sen, addressing the rumours of Sophara’s prime ministerial credentials, even offered some advice for the official, whose time “has not come”. “I told Chea Sophara clearly that to travel a long distance he must have a stop, otherwise he will not reach his destination,” Hun Sen said at the time. In the years since, Sophara, who ultimately avoided being sent to Yangon, has climbed his way back up, first spending time as a secretary of state at the Ministry of Land Management and Urban Planning before being appointed Minister of Rural Development in 2008. Earlier this year, in Hun Sen’s much lauded “reshuffle”, the former governor, who did not respond a request for comment, took over the Land Management and Urban Planning Ministry. Author Sebastian Strangio says Sophara’s decline and rise is a good example of the system in action. “It shows how the CPP maintains an organic balance between competing powerful interests, punishing those that step out of line while setting out a path to political redemption,” he says. In recent months, several officials have found themselves publicly chided and quietly transferred. Briefly imprisoned by authorities in South Korea on allegations of sexual assault in May, Kry Seang Long, the former director of the Education Ministry’s vocational orientation department, serves as one example. Bailed out by the Foreign Ministry in May, Seang Long drew public condemnation from his superiors in Phnom Penh – but only after his alleged unwanted advances against a translator in Seoul came to light on the sidelines of an education conference weeks later. Yet he remains on the public payroll as “administration official”, said Education Ministry spokesman Ros Salin, who called the move the “highest punishment” that could be delivered by a disciplinary council unless there was a court verdict delivered. Then there is the case of Long Rokha, transferred in September from his post as head of immigration at Ratanakkiri’s O’Yadav border checkpoint to the legislation bureau in Phnom Penh amid accusations of illegal mining links. Or the scolding and suspension of former Kam Rieng district police chief Phan Vannara, who in January was shunted to a new role at the provincial headquarters when, amid a countrywide crime spike, it emerged that he was out of town during a fatal home invasion. And although not everyone keeps an official job, titles can sometimes suffice. When long-time sub-national official Kol Sam Ol was replaced in Decemberlast year as governor of Stung Treng province by Mom Saroeun, he was made a government adviser. At the replacement ceremony, Sar Kheng was franker than those beneath him – who cited the civil service retirement age of 60 (Sam Ol was 58) – and reportedly criticised the province’s lack of action in combating cross-border smuggling. When contacted recently, Stung Treng provincial spokesman Men Seng denied his old boss had fallen out of favour; in fact, he says, it was quite the opposite. “It’s a promotion,” Seng said, although he concedes that Sam Ol, who has proved unreachable, now has “no relation with the ministry”. Though long effective at controlling the public service, as the elections approach, the CPP faces a growing challenge in dealing with the tension between state performance and party loyalty, said Caroline Hughes, a professor at the University of Bradford in the UK. Hughes, a Cambodia expert, said the growing demand for better and more complex public services, and the rise of youth within the government, mean, more and more, the most effective official might not be the most loyal. For a party that can only understand loyalty in terms of personal connections, rather than adherence to a set of legal principles, this poses a significant problem. “If you start to fire people who have been loyal, then the system will absolutely collapse. You get a real problem when the unquestioning loyalty and the effective performance increasingly diverge,” Hughes said. However, Youk Bunna, a secretary of state at the Ministry of Civil Service tasked reforming the sector, disputed this, and argues that merit – not loyalty – is the most valuable currency within the public sector. Positions, he said, do not belong to bureaucrats, who are entitled only to their professional grades and the accompanying salary rates. Bunna said it was up to the government “to decide to move [civil servants] from one position to another based on merit or the need of public service”. He said instances in which officials are switched to a less active position are simply a reflection of their abilities. Bunna said ongoing reforms aim to define more clearly the nominating processes, job criteria and responsibilities for each position. This, he said, will help to avoid “loopholes” that could lead to “the perception” that political motives are a determinative factor when it comes to appointments, promotions and transfers. For all the reforms aimed at increasing transparency within the public sector, it’s clear that one man’s word is final when it comes to government decisions, including the fate of its thousands of staff. “I am very happy and thankful that Samdech [Hun Sen] forgave me,” senior Interior Ministry Lieutenant-General Mam Srim Vanna told reporters after being fired and then rehired by the premier in July after his berating of a traffic policeman for daring to issue him a ticket went viral on social media. Seeking to portray himself as responsive to citizens concerns, Hun Sen has embraced Facebook with gusto. The platform has given him a window through which to broadcast snap decisions and sweeping policy changes. But it’s also given people an opportunity to peer back and see the abrupt and personalised style in which he presides over the political system. One such display took place last month, when the premier called ABC Radio and removed Phnom Penh’s health chief, Sok Sokun, after city health authorities seized an unlicensed ambulance belonging to the station, a decision the premier disagreed with. Moved to a new role in the Health Ministry, Sokun made it clear he was simply doing his job – but noted that in the civil service, that’s not all that matters. “We need to respect the top leader when he assigns us or promotes us to fulfil [a different role],” he said at the time.